Windcrest is a small kennel situated north of Stockholm. 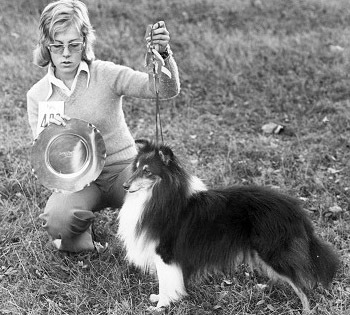 I had my fist sheltie in 1968, wich also was the year when I started showing. In 1970 I had my first champion in the tricolour dog, Sternvilles Dark Tric (Int Ch Heylens Mantoga Music Master Ch Sternvilles Meg). In 1975, I breed my first litter of puppies. Since then I have bred several champions and cc-winners. Among the most successful are Int DK N SF S Ch KBHV-05 Windcrest Scottish Passion and her son Int DK S SF EST LV Ch Nord JV-05 Est V-08 Windcrest Flying Scotsman. 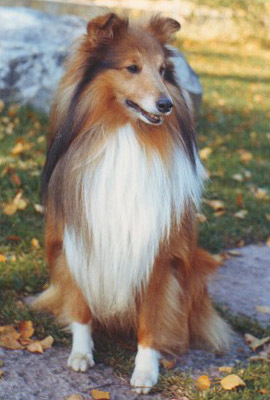 I am mainly breeding sable shelties. All my dogs live as familymembers. During the years 1986-1990 I lived in England. I brought some dogs with me from Sweden and one of them became the first Shetland sheepdog imported to the UK, to gain the English title. In 1989 I was appointed by the Swedish Kennel Club as a FCI judge. I now judge around 40 breeds on championshipshow level.